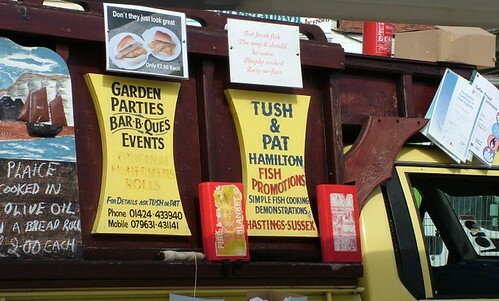 You can find Tush and Pat Hamilton making these rolls on weekends, at the fish huts on Rockanore Road in the Old Town in Hastings. These photos were taken at the Hastings Seafood & Wine festival this year. 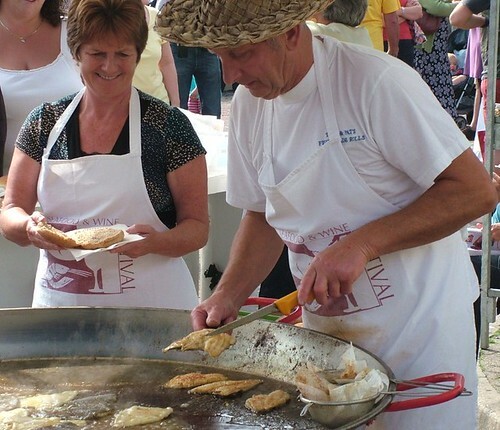 Taking little locally-caught dab fillets, they dust them with wheat flour and season before shallow frying the fillets in olive oil in huge paella pans. Dabs are a small flat fish that grow no heavier than 400g - more often around 250g. They look similar to plaice and are found all around the coast of the UK. 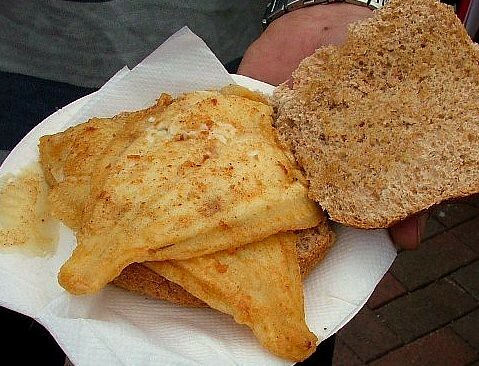 The cooked fillets are simply served in a fresh bread rolls. 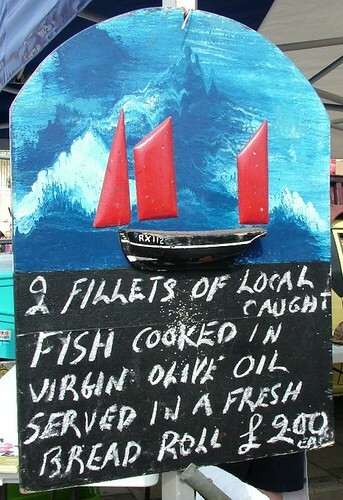 Fresh, delicious, quick and local - food at it's best! If you are gluten free you will need to make these at home rather than sampling them at the fish huts, as these are prepared using wheat flour. Use rice flour to dust and serve in your favourite gluten free bread for the sandwich, they are just delicious. Take 2 fresh dab fillets (or 1 plaice fillet) per person. Season with sea salt & freshly ground black pepper. Fry in olive oil til golden on both sides. Serve on a roll with a squeeze of lemon juice. Oops, sorry Woody - I didn't realise you were a hand-artiste!